Since August 2017, Burmese security forces have been carrying out a campaign of ethnic cleansing against Rohingya Muslims in Rakhine State forcing over half a million of them to flee to neighboring Bangladesh to escape killings, arson, and other atrocities. This mass migration has resulted in one of the worst humanitarian crises of our time. The Chowdhury Center, in a attempt to understand this, has launched a Rohingya Working Group in which students, researchers, and practitioners are invited to develop ideas and collaborations to further our collective work related to the Rohingya crisis. 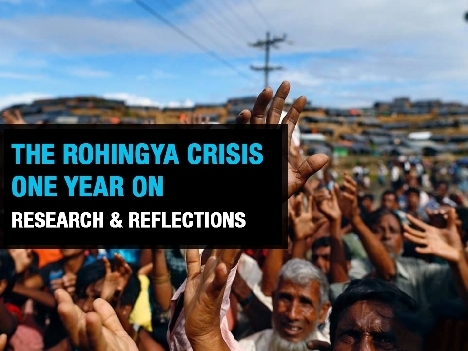 The Rohingya Working Group, hosted by the Chowdhury Center for Bangladesh Studies at UC Berkeley, exists to promote new research ideas and collaborations to further members' collective work related to the Rohingya crisis. All added members will have access to a common Google folder to share research, resources, and any other materials that may be helpful to others in the group.